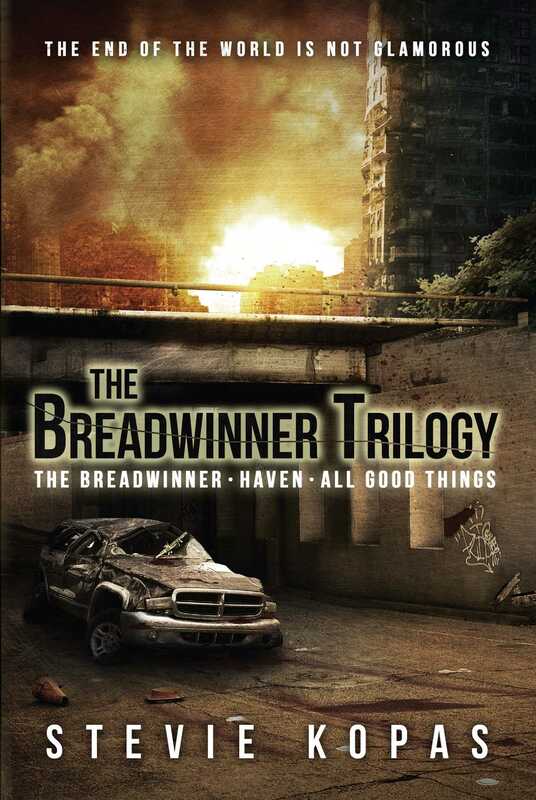 An omnibus edition of all the three books in Stevie Kopas' The Breadwinner Trilogy. Veronica, a high school track star, races to get her brother out of their doomed city. Ben, a military veteran, comes to grips with the end of the world as he fights the undead. Andrew, a police officer, struggles to maintain some sort of humanity in a world overrun by death and destruction. There is no good vs. evil, there is simply the living vs. the dead. The good guys don’t always win, because sometimes, the good guys have to be the bad guys in order to stay alive. There are no heroes here. Just survivors. This special edition features the previously published The Breadwinner, Haven and All Good Things, and includes the bonus companion story "Nefarious." Stevie Kopas was born and raised in Perth Amboy, New Jersey. She is a gamer, a writer and an apocalypse enthusiast. Stevie will never turn down a good cup of coffee and might even be a bit of a caffeine addict. She currently resides in Panama City Beach, Florida and tries to spend as much time as she can in the sun. "With her new installment in the Breadwinner Trilogy, HavenStevie Kopas continues to hone her surgeon's eye for detail and her sense ofthe heartbreak of everyday post-apocalyptic life. Rich with character and eerie with the kindof scares that get under your skin rather than nauseate you, HAVEN is a pageturner of the first order."